I think we have decided on the sign. I like the lighter purple border. What color should the post be? White? There will be a stone wall base built. The sign will be carved and painted and will be almost 12 square feet total. Well, what do you think. Here is the latest from Frank, the sign guy. He used my illustration. I think I like this oneWater4! 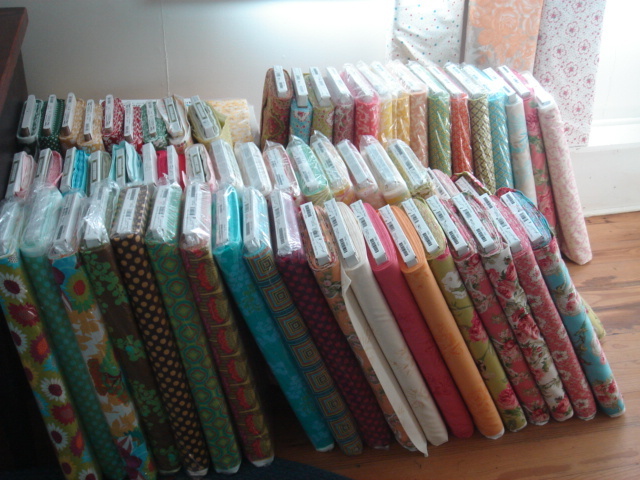 Yesterday, 10 cases of fabric from Westminster Fibers, Kaffe, Amy Butler, Tanya Whelan,Denyse Schmidt (Home dec), Heather Bailey and more, ohboy!!! Met with my first fabric rep yesterday as well. Gretchen, from Westminster, Free Spirit, Henry Glass and M&S(Australian Co.) 6 and 1/2 hours of looking at fabric samples and purchasing ALOT!!! Doubt I will ever have to order in that quantity again. 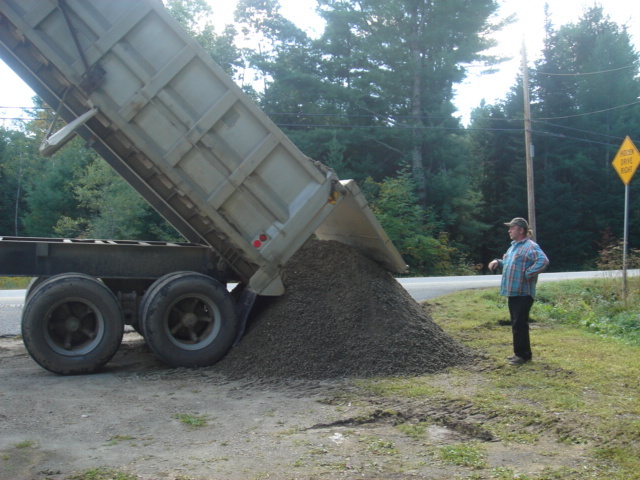 Parking lot is in and the plumber is working up the estimate for the new heating and airconditioning. We have a parking lot with 10 spaces, oh boy! I received some ideas from Frank at Signworks. I like the shape of the sign and the white background as well as the lettering. 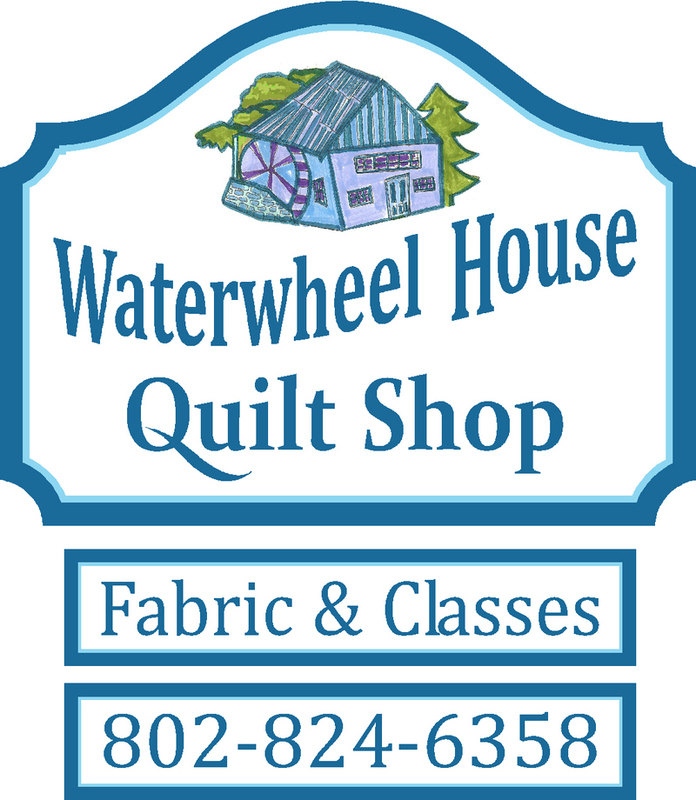 The sign will just say "Waterwheel House" with Quilt Shop under that. All other info will be on hanging blades so we can add and subtract as needed. 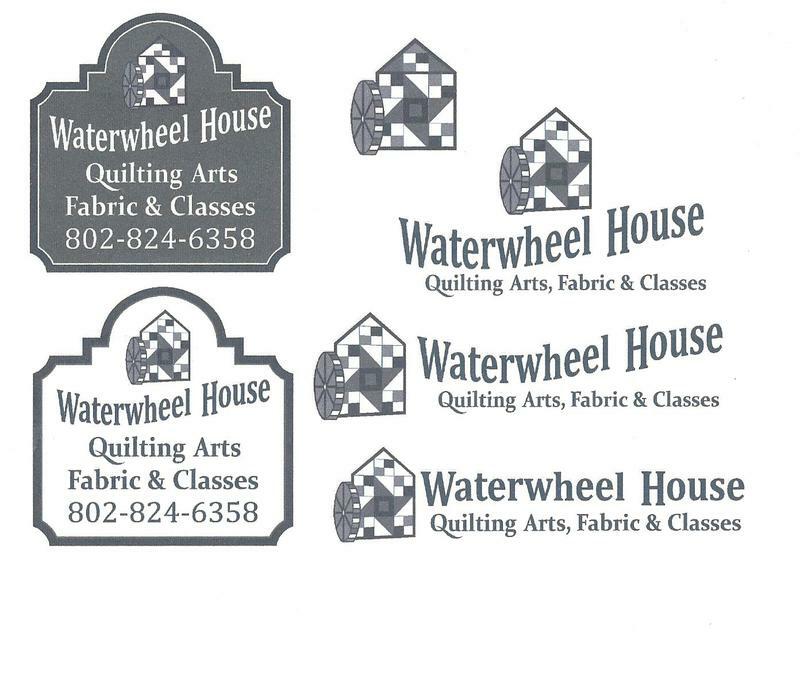 I don't like the pinwheel block house and Judy suggested a house quilt block instead. I think it should be somewhat whimsical too. I came up with a couple of sketches and sent them to Frank. Here they are. I can't wait to see what he comes up with. Here are his ideas. The average size doorway from the main room to the back rooms has been replaced by a large entry to the back of the shop. From the front door customers will see all the way to the back! 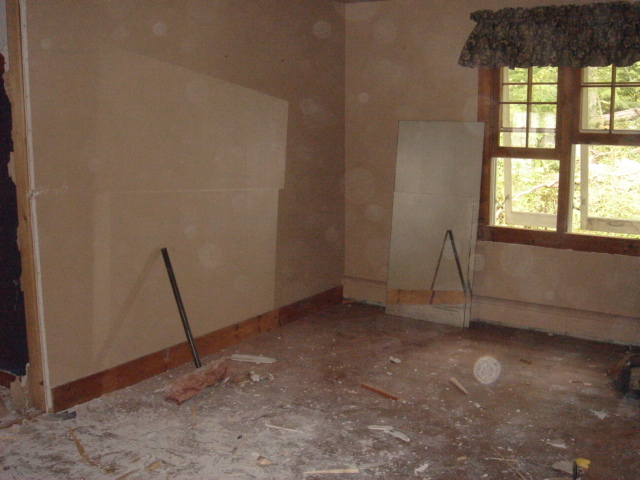 A bathroom and closet have been removed for more space for fabric. I have started a quilt using Mark Lipinski's Califon collection in brites. I will be cutting into the black and white bolts soon. My trusty pal, Judith will create her own "Califon" quilt as well. I heard from our friend and quiltshop owner, Bob Silverman today. He and Jim Helms have that great quiltshop in Woodstock New York, www.quiltstock.com. Judith and I visited with them in August to pick their brains. 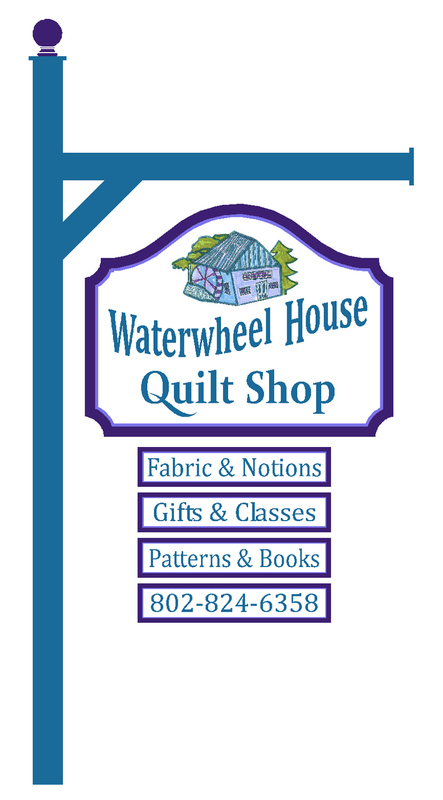 Having met them at the Vermont Quilt Festival I felt their vision for a shop was similar to mine. They were really terrific and gave me lots of good advice for starting a new shop. They encouraged me to go to Houston in October which I plan to do with Judith. Having registered late, the only rooms available were at the Four Seasons Hotel. Oh well we will just have to suffer. not only her line, but from other popular designers as well. Thanks, Holly and look forward to meeting you in Houston. 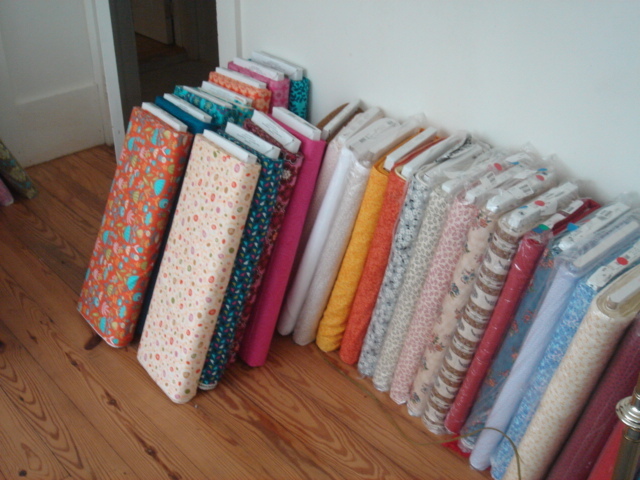 Again, I welcome all advice and comments regarding opening a new quilt shop. 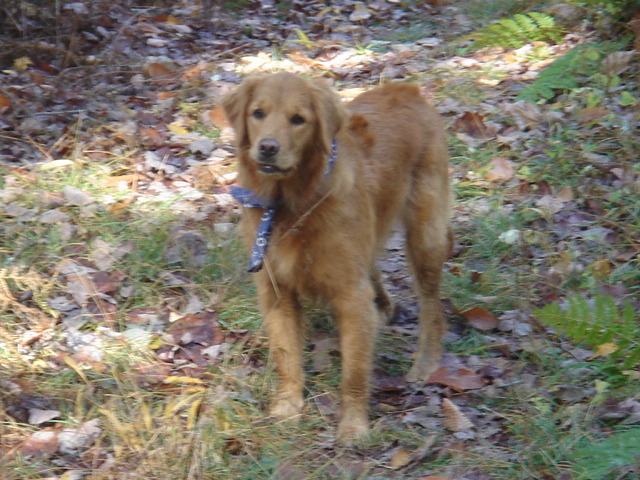 Best doggie in the whole world, Gracie. She will reign as "Shop Dog". 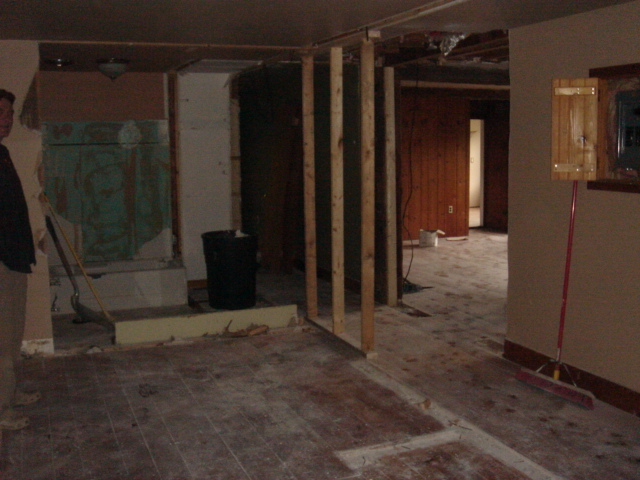 More demolition today, really opening up the space between what was the living room and two back bedrooms, a bath and a closet. Wow, looks so great I think I could live there! More pics tomorrow. Demolition has begun! 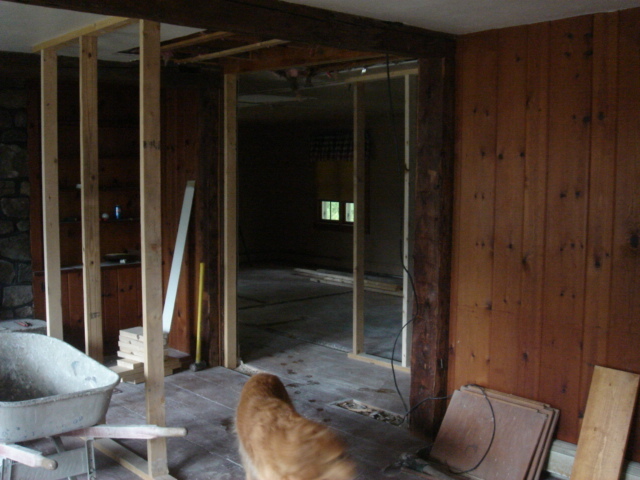 Walls are coming down to open up the space. We have electricity and water! I met with the sign guy today to get that design going. Hope to have a logo soon. 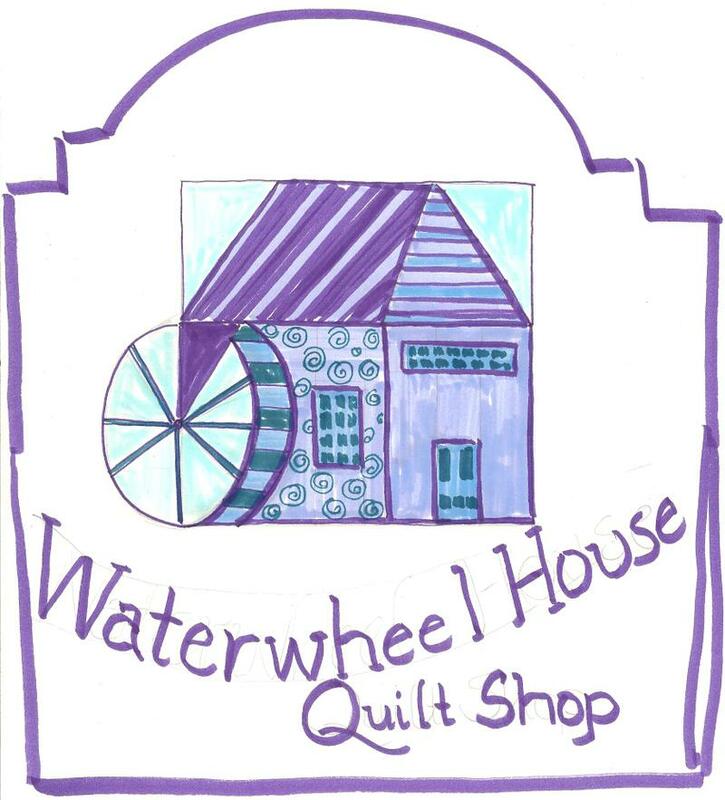 I need a signature quilt block that looks like a waterwheel Any ideas? Just in, Mark Lipinski's complete new line "Califon" in two colorways, black and white and blues,yellows, orange and green. Very cool. 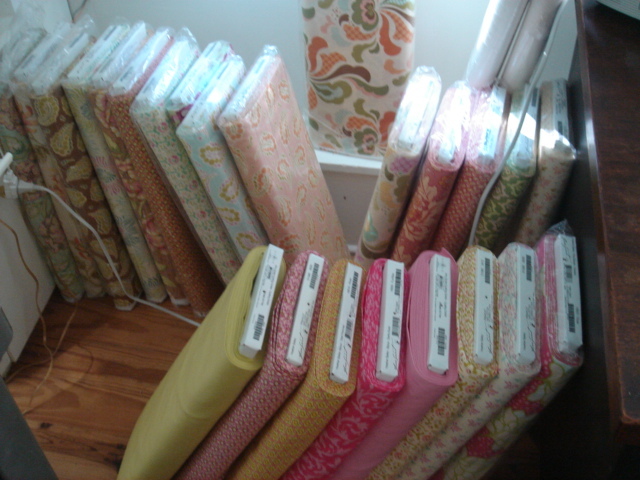 I am storing all the fabric and supplies for the shop in the downstairs apartment for now. 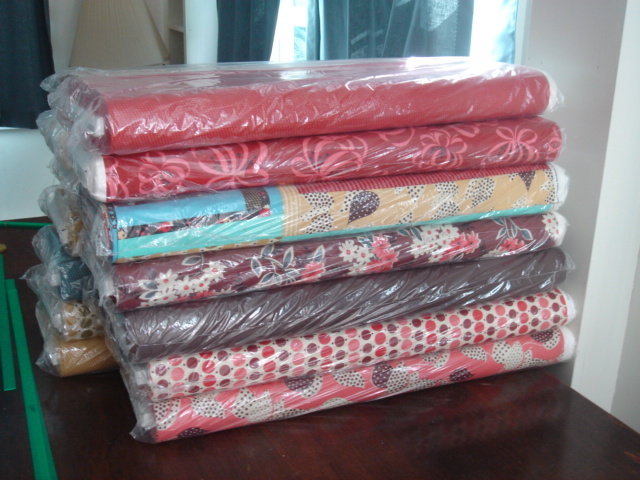 Also my new Alto's QuiltCut Pro Fabric System arrived. I am practicing cutting fat quarter bundles and 5" charm packs. Have to be adept at cutting before the shop opens, you know. Also in "Florrie's Favorites" by Froncie Quinn. A very different brightly colored reproduction line based on some quilts from the Shelburne Museum in Shelburne Vt. 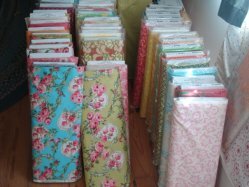 I have ordered the latest fabrics from Westminster Fibers, Free Spirit, Norhtcott, Red Rooster,LakeHouse and more by designers such as Kaffe Fassett, Amy Butler, Heather Bailey,Denyse Schmidt, Robyn Pandolph, Tanya Whelan and more. Oh boy, Oh boy!!! 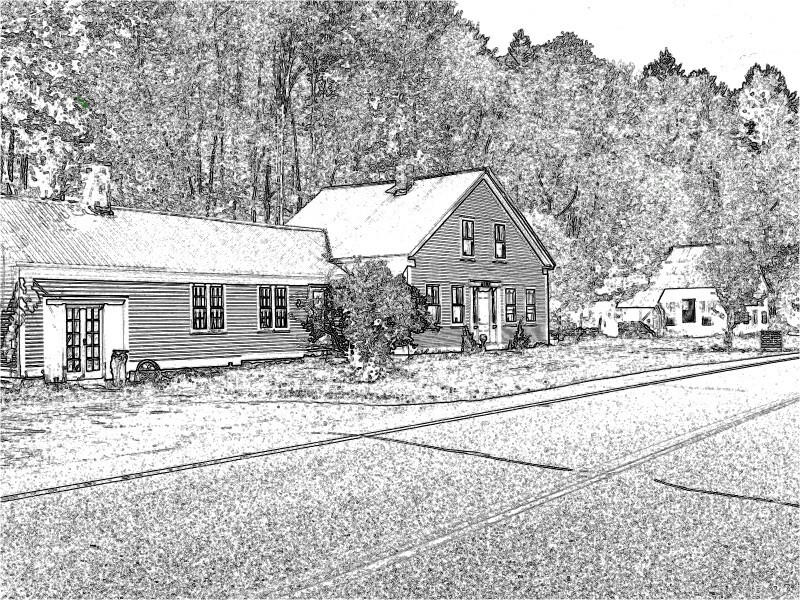 We will be putting a new heating and cooling system in and all new electric. 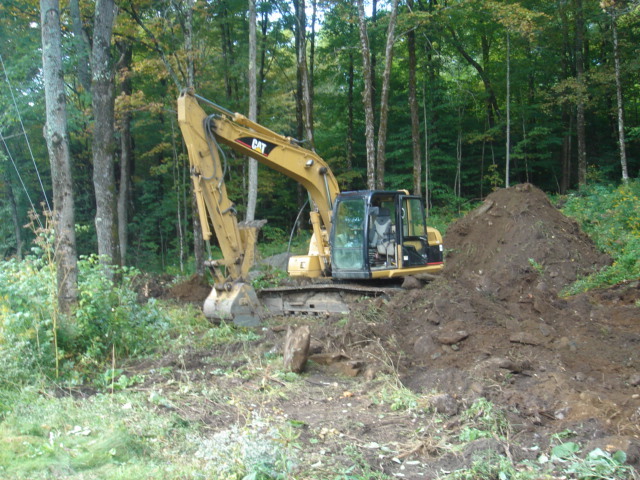 All construction is being supervised by my sweetheart of a husband, Andrew. 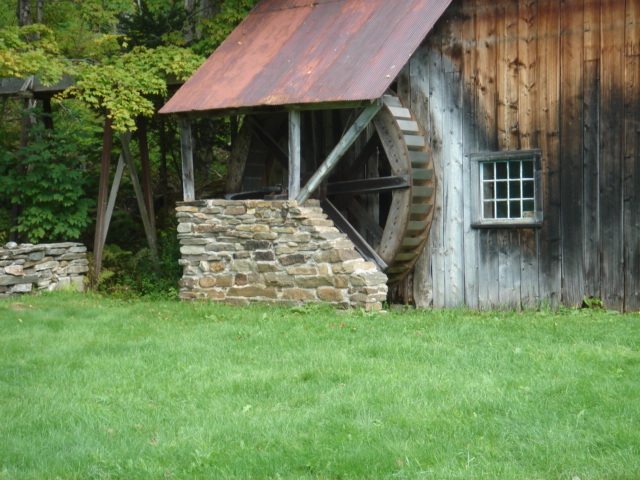 Today we closed on the property locally known as "Bob's Watermill". 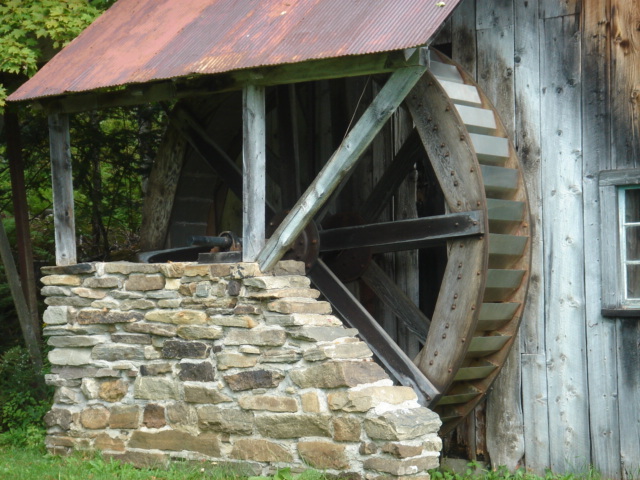 Bob built the waterwheel on the old barn in 1960. The farmhouse is over 100 years old, but is still in great shape. 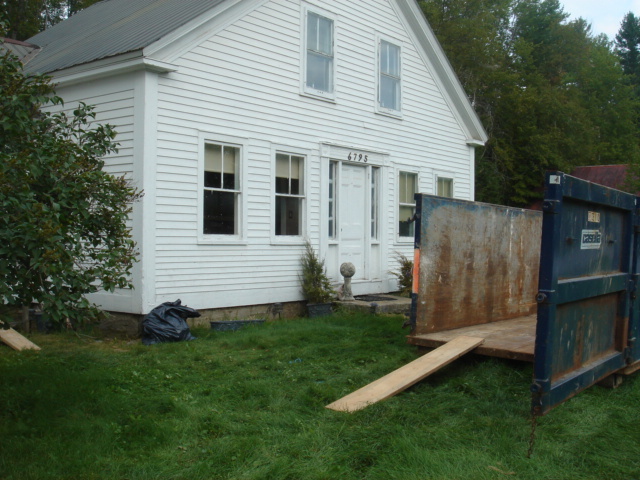 Tomorrow the dumpster will be delivered and the guys will start the demo. 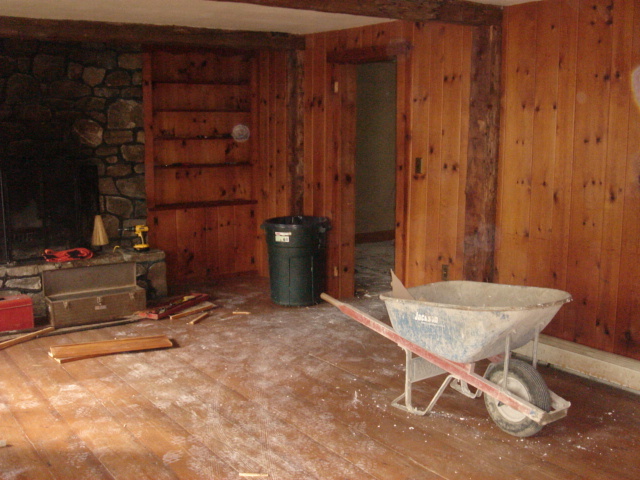 The farmhouse will be transformed into 1800sq.ft. of retail space. 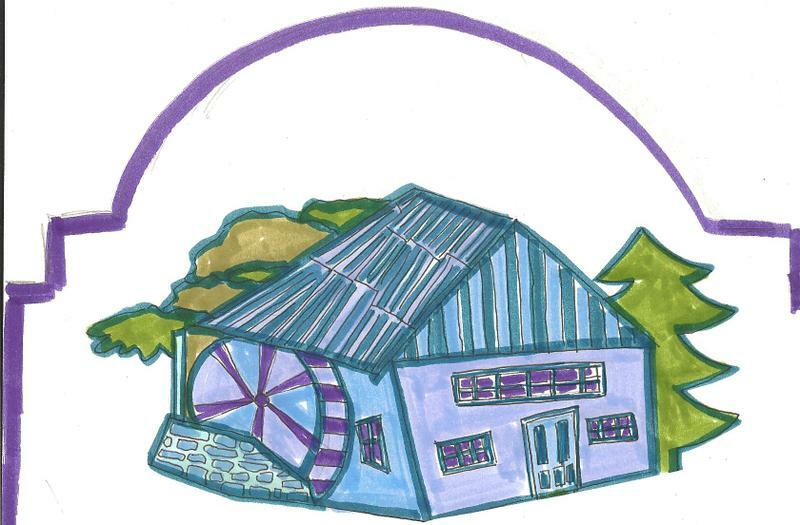 The barn will be renovated to feature special quilting events and shows. All here in beautiful Londonderry Vermont. What a fabulous location, with tons of traffic traveling to Weston (the home of the Vermont Country Store) In this portion of Southern Vermont we travel 20 miles just to buy sewing needles. Not to mention fabric!